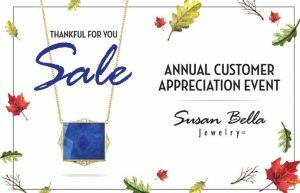 Home/What's New/Annual Customer Appreciation Event 11/15-11/17! Additional 10% OFF Fine Jewelry Clearance! 40% – 75% OFF Charm Bracelets & Accessories!